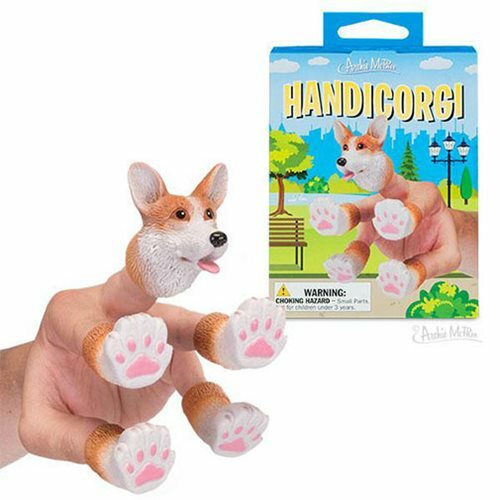 Your hand will be corgi-ous and in-corgi-able! You have a choice: stick with your hand the way it is (yawn) or turn it into a corgi! This set of five soft vinyl finger puppets, one 2-inch corgi head and four 1 1/2-inch paws, makes your hand in-corgi-able! So realistic, the corgi-fication is amazing, your hand may just run off and herd some sheep. Illustrated box.